What a time to be alive! This is absolutely phenomenal news. 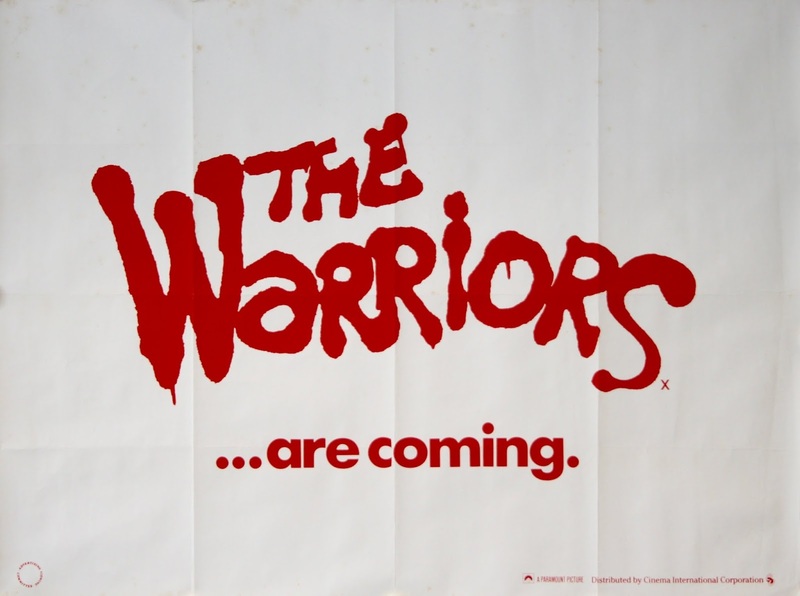 This year saw John Carpenter touring the UK for the first time and next year The Warriors are coming over to the UK to play. 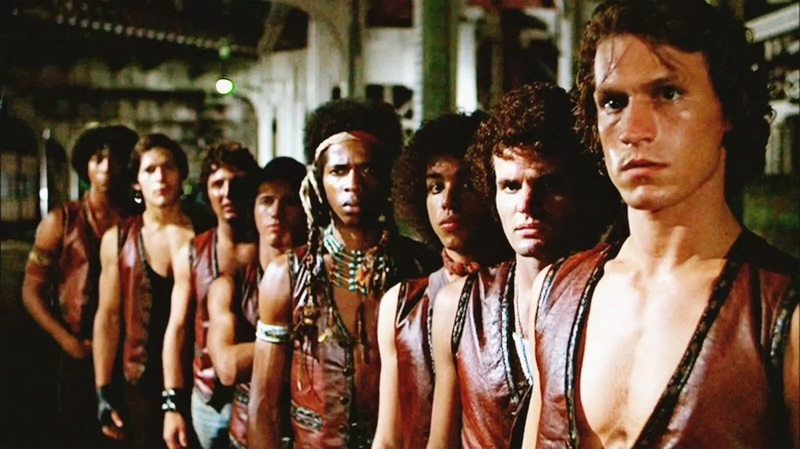 Needless to say Walter Hill's The Warriors is one of the greatest films ever made and I am a huge fan. There is no doubt that Producer/Writer/Director Walter Hill's work is as intense as it is versatile. He is responsible for some of the grittiest and adult action films ever released films like: Charles Bronson, James Coburn & Jill Ireland in Hard Times, Ryan O'Neal, Bruce Dern & Isabelle Adjani in The Driver, Mickey Rourke, Ellen Barkin & Elizabeth McGovern in Johnny Handsome. He also directed engaging modern westerns like: David Carradine, Stacy Keach, Dennis Quaid in The Long Riders and Nick Nolte, Powers Boothe & Michael Ironside in Extreme Prejudice. Two of the best buddy pictures ever made: Nick Nolte, Eddie Murphy & Annette O'Toole in 48 Hrs. and Arnold Schwarzenegger & Jim Belushi in Red Heat. A slapstick comedy: Richard Pryor, John Candy & Lonette McKee in Brewster's Millions. As well as two great music based films: Ralph Macchio, Joe Seneca, Jami Gertz in Crossroads and Michael Paré, Diane Lane & Willem Dafoe in another of one of my favourite films of all time the spectacular - Streets of Fire. 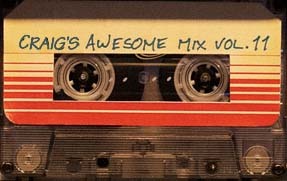 But few of those films come close to the tightly wound grit, vigour, swagger, sheer edge of the seat compulsion and hard hitting energy of his third feature film released in 1979 - The Warriors, all set to composer Barry De Vorzon's pulsating electro score, the most synthesized music used in a film to that point. And next year The Warriors coming to the UK to play. Battle of Cunaxa 401 BC. Over two millenniums ago, an army of Greek Soldiers found themselves isolated in the middle of The Persian Empire. One thousand miles from safety. One thousand miles from the sea. Loosely based on the greek tale of Anabasis, which has come to be known as The March of the Ten Thousand or The March Up Country, written circa. 370 BC. by Xenophon a professional soldier and writer who told the story over seven books. Stranded deep in Persia, the Spartan general Clearchus and the other Greek senior officers were then killed or captured by treachery on the part of the Persian satrap Tissaphernes. Xenophon, one of three remaining leaders elected by the soldiers, played an instrumental role in encouraging the 10,000 to march north across foodless deserts and snow-filled mountain passes, towards the Black Sea and the comparative security of its Greek shoreline cities. The Warriors are: Dorsey Wright (Cleon), Michael Beck (Swan), Terry Michos (Vermin), Brian Tyler (Snow), Marcelino Sánchez (Rembrandt), Thomas G Waites (Fox), Tom McKitterick (Cowboy), David Harris (Cochise) and James Remar (Ajax). 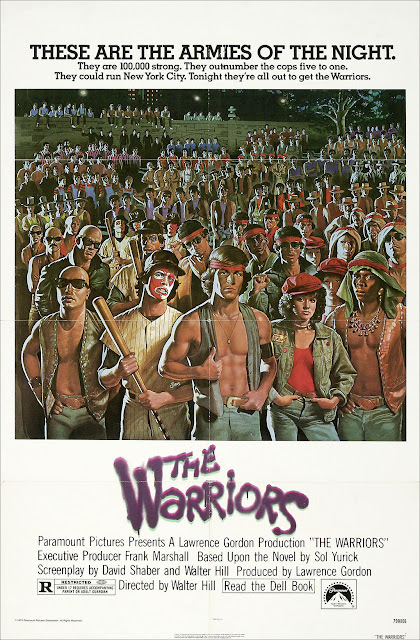 If you are a fan of The Warriors you will recognise the plot as that of the gang, that has to make their way home after been framed, with dangers on all sides. The name Cyrus and possibly the relevance of the name Ajax will also be familiar. Neither of these names are featured in Sol Yurick's 1965 novel The Warriors which is the basis for the film. A battle of gigantic proportions is looming in the neon underground of New York City. The armies of the night number 100,000, they outnumber the police 5 to 1, and tonight they're after the Warriors - a street gang blamed unfairly for a rival gang leader's death. This contemporary action-adventure story takes place at night, underground, in the sub-culture of gang warfare that rages from Coney Island to Manhattan to the Bronx. Members of the Warriors fight for their lives, seek to survive in the urban jungle and learn the meaning of loyalty. This intense and stylized film is a dazzling achievement for cinematographer Andrew Laszlo. Yurick was a Social Investigator for New York City's Welfare Department and became familiar with New York's underprivileged and street gangs. He researched gang culture, hierarchical structures, motivations, behaviours and communication. All of which fed into his novel The Warriors. In the course of his research he discovered gang culture went back centuries, eventually drawing parallels to the young soldiers of the Ten Thousand of Anabasis. But the spark behind The Warriors was the gulf between the reality of growing gang culture and the friendlier perception portrayed in the media with films like West Side Story (1961). Yurick was not pleased by the film and the changes made to his story. His novel is more realistic as it the world they move through and The Warriors are by no means the heroes of Walter Hill's film. 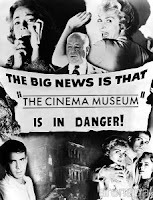 The film opened amidst controversy, how could it not? given the subject matter and the violence but has became an enduring cult favourite over the years. Last year The Warriors took their last subway ride home with Rolling Stone Magazine and it looks like The Warriors are coming to play in the UK next year. Attendees so far: Michael Beck (Swan), David Harris (Cochise), Terry Michos (Vermin), Brian Tyler (Snow), Deborah van Valkenburgh (Mercy), Thomas Waites (Fox), Dorsey Wright (Cleon) and more to come.